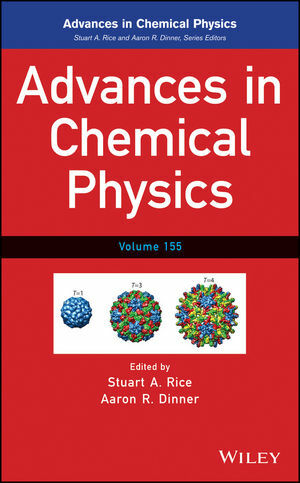 Each volume of the Advances in Chemical Physics series discusses aspects of the state of diverse subjects in chemical physics and related fields, with chapters written by top researchers in the field. Reviews published in Advances in Chemical Physics are typically longer than those published in journals, providing the space needed for readers to fully grasp the topic, including fundamentals, latest discoveries, applications, and emerging avenues of research. Advances in Chemical Physics is ideal for introducing novices to topics in chemical physics and serves as the perfect supplement to any advanced graduate class devoted to its study. The series also provides the foundation needed for more experienced researchers to advance research studies. STUART A. RICE received his master’s degree and doctorate from Harvard University and was a junior fellow at Harvard for two years before joining the faculty of The University of Chicago in 1957, where he is currently the Frank P. Hixon Distinguished Service Professor Emeritus. AARON R. DINNER received his bachelor’s degree and doctorate from Harvard University, after which he conducted postdoctoral research at the University of Oxford and the University of California, Berkeley. He joined the faculty at The University of Chicago in 2003.